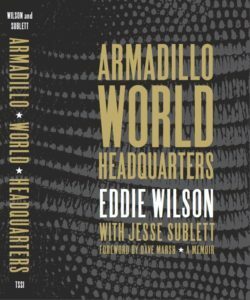 Eddie Wilson and Jesse Sublett join us this week to talk about their new book, ARMADILLO WORLD HEADQUARTERS (TSSI Publishing/University of Texas Press, March 2017). Writing On the Air is broadcast Wednesdays from 6-7 pm Central from the KOOP Radio studios in Austin, Texas . We’re heard on Austin radio 91.7FM KOOP, and online at KOOP.org. You can also listen at Radio Free America and TuneIn.com. Soon after the end of each program, the episode will be available on Radio Free America for a couple of weeks. For our past episodes, try the search bar, or simply scroll through the shows below. You can hear the audios on each page, or head over to iTunes for our podcast. For show updates, follow us on Facebook and Twitter. Eddie Wilson is a member of the Austin Music Hall of Fame. 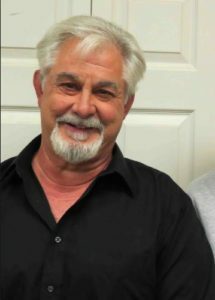 He is a former concert promoter and co-founder and owner of the Armadillo World Headquarters (1973–1980), the legendary music venue that led a music movement in Austin to national prominence as the birthplace of Texas progressive county, aka cosmic cowboy/redneck rock and making Austin the live music capital of the world. Eddie is an Austin native and holds a degree in English from the University of Texas. He continues to purvey live music as the owner of two Threadgill’s restaurants in Austin. The original, which he purchased in the mid–1970s from Kenneth Threadgill was where Janis Joplin got her start. Threadgill’s World Headquarters in south Austin, is located right beside the residence of the Armadillo Headquarters. 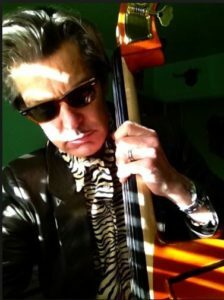 You can keep up with Eddie on Twitter and look up his restaurant/music venue, Threadgill’s. Jesse Sublett is a writer, musician, and artist known for his iconic rock trio, The Skunks that helped put Austin on the rock n’ roll map. Jesse’s many novels and nonfiction books include 1960’s Austin Gangsters, Never the Same Again, The Martin Fender Novels, and an upcoming book on Esther’s Follies. 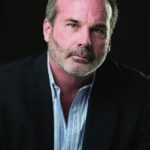 His work has been published in many print magazines, including the New York Times, Texas Monthly, the Austin Chronicle. He has written extensively for the History Channel, as well as for reality TV and other TV/ film projects. Jesse also works as a ghost writer. Jesse’s papers are collected in the Southwestern Writers Collection of the Witliff Collections at Texas State University, his alma mater. For more information, please see JesseSublett.com. You can also keep up with Jesse on Twitter. On August 7, 1970, Eddie Wilson and a band of hippies threw open the doors of Armadillo World Headquar­ters and the live music capital of the world was born in Austin, Texas. Over its ten-year lifespan, the Arma­dillo hosted thousands of high-profile musicians—Willie Nelson, Frank Zappa, Bruce Springsteen, Taj Mahal, AC/DC, Charlie Daniels, the Ramones, Roy Buchanan, and Bette Midler, to name a random few. The Armadillo helped define the Austin lifestyle, cul­ture, and identity, setting the stage for successors such as the SXSW music festival, PBS’s Austin City Limits, and the ACL festival, which have made Austin an international destination for music fans. In this rollicking memoir, Eddie Wilson tells the behind-the-scenes story of the Armadillo from the moment he first peered into a derelict National Guard armory building and knew that destiny had found him. He vividly describes how two previously clash­ing groups—rednecks and hippies—came together at the Armadillo, enjoying a new blend of country music and rock that spawned a many-named movement: cosmic cowboy, progressive country, and redneck rock, among others. Wilson also reveals the strug­gles and creative solutions that kept the doors open, the angels who provided timely infusions of cash, the janitors and carpenters who maintained the Dillo, and the artists who created iconic poster art. Exten­sively illustrated with candid photographs and music posters, Armadillo World Headquarters recounts the story of this legendary venue as no other book can. For more information, please see University of Texas Press.